With the installation of this toolbar users will be given access to their local forecast radar weather news and more! The product comes from one of our top advertisers. Run this offer with great creatives and a competitive payout. Daily leads capped at 400. This offer is open to Pop Under Display traffic that cannot be generated by Adware. 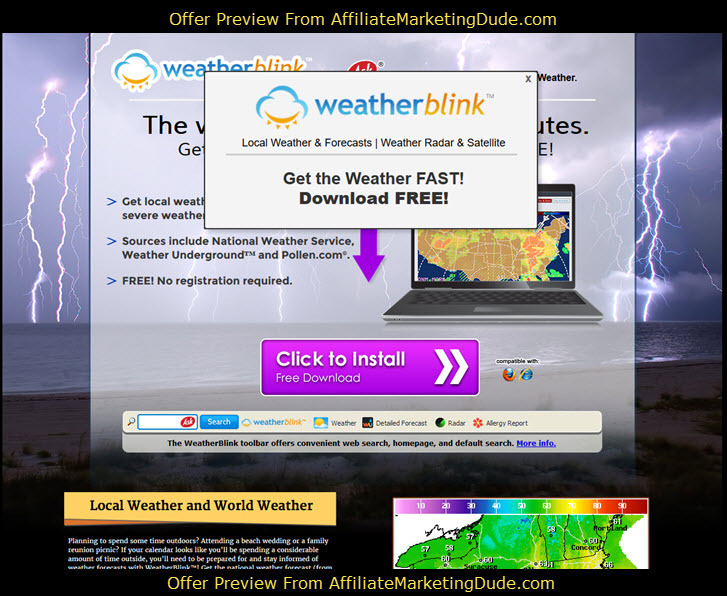 Converts after the user downloads and installs the Weather Alert toolbar.Converts after the user downloads and installs the Weather Alert toolbar.